We who work in the profession or who advocate for greater accessibility are custodians and must work to be able to hand over to the next generation when the time comes. There is a shortage of skills in the Accessibility profession. The accessibility world is a small one. 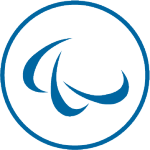 For a world population of Billions the number of people working in the field of accessibility and Assistive Technology is counted in thousands. Over 84% of respondents were over the age of 30 and 35% were aged 45 and above. Practitioners tend to be older and highly educated (84.1% reported having a College degree or above with 38.5% having a masters or higher), and therefore the labour costs of doing accessibility work are higher than in the IT industry as a whole. Recently I saw on twitter that Google had recruited Viktor Tsaran to work on accessibility of their social offering; great for Google but a big loss for PayPal. So talent goes to where talent is rewarded and it is good to see companies recruiting as this means they are making the effort to develop products that are inclusive. But rather than keep on hiring the same people companies need to grow the skill base. So where is the next generation of accessibility people coming from? I would like to get to the point where inclusive design is the norm, where products are created that can be used with ease by the widest range of people with a broad span of differing abilities (& disabilities). However, I know that there is a long road yet to travel before that becomes the case and even if and when we reach that point we still need people with skills to support the Assistive Technologies (ATs) that are so transformative for many people. Within our organisation we have a growing team of people dedicated to bringing to life our IUX (Inclusive User Experience) vision and delivering Accessibility Managed Services for clients. Given the market I described earlier finding the right skills and attracting people has been a challenge. So I am really pleased that with the support of our UK management we have been able to do something that to my knowledge has not been done before. 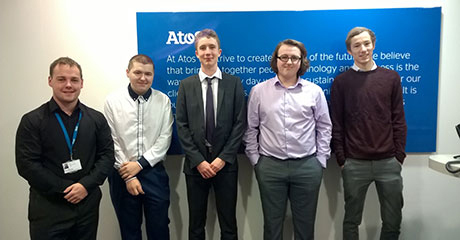 Based in our Leeds offices we now have 5 bright apprentices who form our first intake on the Atos Accessibility Academy programme. On the picture above, from left to right: Kyle White-Thackray, Jack Wood, Mark Wilcock, Patrick Savidge and Alastair Brown. It is early days but we believe the scheme has great potential. It also signals our commitment as an organisation to supporting diversity in the workplace and for our customers. The academy is a higher level apprentice scheme so incorporates a work-based learning programme and leads to a nationally recognised qualification at Level 4. Read about higher level apprenticeships on the Apprenticeship Scheme Official Website. This is equivalent to a higher education certificate, higher education diploma or a foundation degree. There is some funding from the government which varies based upon the age of the apprentices. I am really pleased that we are able to equip the next generation with the skills to help them support people live and work independently in the future. I sincerely hope that other organisations will follow in our footsteps.